Photonix Scientific Corporation is one of the major Electrical Sieve Shaker Manufacturers in India. Sieve Shakers come in many forms and some of them are Rotap Sieve Shaker, Gyratory Sieve Shaker, Table Sieve Shaker and Test Sieves. 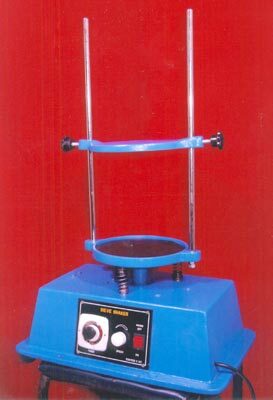 The Laboratory Sieve Shaker manufactured by our company is preferred by our clients not only in India but across the world in countries like USA and the Gulf countries. They are useful in laboratories where active chemical researches are conducted and Photonix Scientific Corporation caters to each and every requirement within the stipulated time frame.